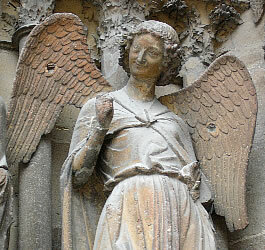 Reims (often written Rheims in English, and pronounced like "Rance") is a city of over 200,000 inhabitants in the region known as Champagne in north-eastern France. 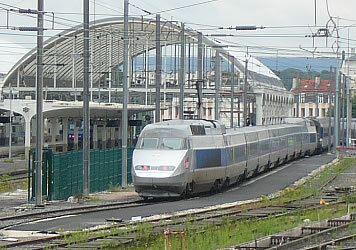 Following the creation of a new high-speed railway in June 2007 the city can be reached from Paris within 45 minutes. 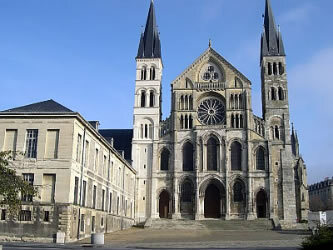 It is best known for its cathedral and as a centre for champagne production. 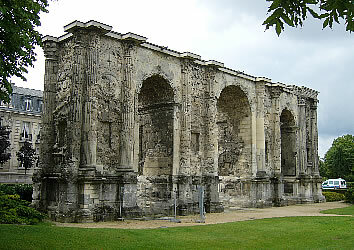 The Romans came to Reims in 58 BC. 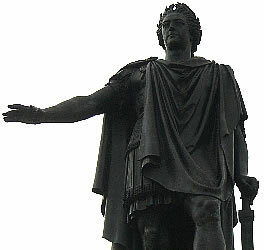 The local people supported Julius Caesar's conquest of northern France (France was called Gaul at that time). The city was known at that time as Durocortorum and was made the capital of the province called Belgium. It is positioned at the intersection of busy trade routes, making it an important economic centre. The city's original northern entrance gate (the Porte Mars) is the only gate which survives: it is in Place de la Republique, close to the train station. 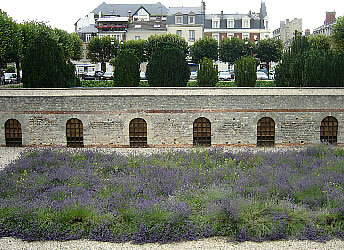 This leads towards the forum: the central square where the main administrative buildings were located and where the market took place (now called Place du Forum). Here you can see the cryptoportico: a long partially underground gallery built in about 200 AD. The outer walls you can see in the photo below are modern, but visitors can go behind these to see the original structures. The original cryptoportico went around three sides of the forum, but only one of these has been excavated. The western part of the Roman Empire started to fall apart towards the end of the 5th century. A man called Clovis became the first king to lead all of the German tribes known as the Franks, and he went on to conquer most of the old Roman province of Gaul (the country is now called "France" because it was controlled at this time by the Franks). Clovis converted to the Roman Catholic faith and was baptised by Remigius (Saint Remi) in Reims at the end of the 5th century. 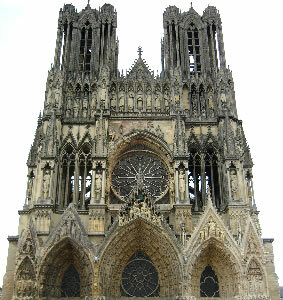 This made France the first Catholic state and led to the tradition of crowning French kings at Reims Cathedral. Many of the kings who were crowned here were called Louis: this name was based on Clovis, with the first letter "c" removed (the letters "u" and "v" were the same at that time). The construction of the Saint Remi Basilica was started in 1007. It was badly damaged in the First World War (1914-18), and was only reopened completely in 1958. 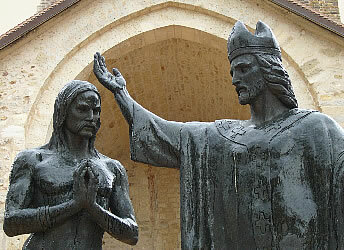 There is a statue outside showing Saint Remi baptising Clovis. 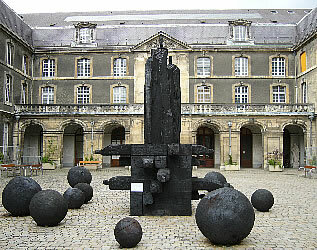 The nearby Saint Remy museum shows art objects and local history from Roman times until the end of the Middle Ages. 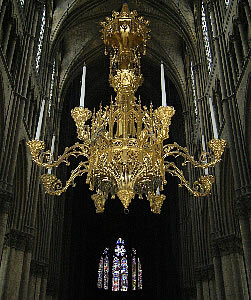 There has been a cathedral in Reims since about 400 AD. 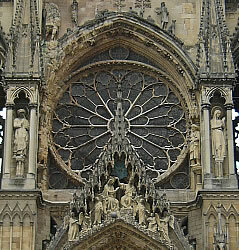 The current building (called Cathédrale Notre-Dame de Reims) was started in 1211. The cathedral was bombed and burnt down during World War One. It took 20 years to rebuild, opening again in 1937. In 1962 the French president Charles de Gaulle and the German chancellor Konrad Adenauer attended a service here as a symbol of peace and reconciliation between the French and German people (there is a plaque on the floor which commemorates this event). Pope John-Paul the Second visited in 1996, about 1500 years after the baptism of Clovis. Next to the cathedral is the Palais du Tau - this was the palace in which kings would prepare for their coronations in Reims Cathedral, and also where they would celebrate afterwards by having a banquet. Visitors can see some of the original statues from the cathedral, items connected with the coronations, and a set of ancient tapestries. Guided tours start from here for both the Palais du Tau and the towers of the cathedral. The Tourist Information Centre is located next to the cathedral. Starting in 1337 there was a long war between England and France called the Hundred Years War. Following an English victory at Agincourt in 1415, a large part of northern France was under English control. A young peasant girl known as Joan of Arc (or Jeanne d'Arc in French) claimed that she had seen visions from God, telling her that she must drive the English out of her homeland and help Charles the Seventh to be crowned as king of France. Charles was impressed by her passion and belief, so he sent the young woman to lead an army to Orleans, which was under siege by the English. 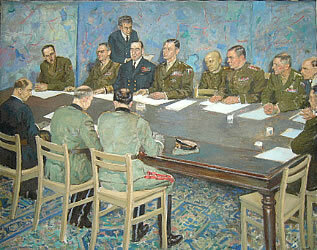 After only nine days the siege had been lifted. 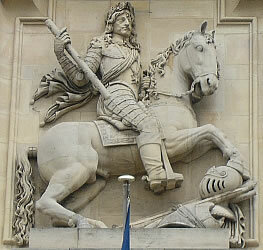 The French soldiers, inspired by Joan of Arc, quickly won several more victories and forced the English to retreat. 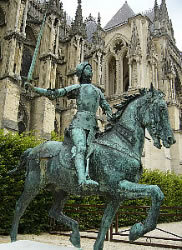 In 1429 Charles the Seventh was crowned king at Reims Cathedral, in the presence of Joan of Arc. After this great success Joan of Arc continued to fight, but two years later she was captured and handed over to the English authorities. She was taken to Rouen in northern France, where she was put on trial and found guilty of heresy (a crime against the Church). The punishment for this crime was to be tied to a wooden stake and burnt alive (she was still only 19 years old when she died). To the French people she was a great heroine and a martyr (because she had died for her belief). In 1920 the Catholic Church made her a saint. The Hôtel le Vergeur was the home of an official who grew rich collecting a tax on salt. He used some of his money to decorate the house and its courtyard in a beautiful Renaissance style. The building was destroyed during World War One, but was quickly rebuilt in a similar style. It is now a museum with a collection of paintings and engravings. 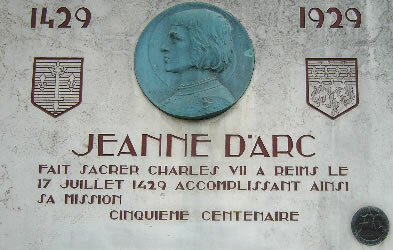 Outside of the building there is plaque which was put up in 1929, 500 years after Joan of Arc came to Reims for the coronation of Charles the Seventh as the king of France (the event that marked the successful accomplishment of her mission). The Hôtel de Ville (Town Hall) was started in 1627 but wasn't completed until the 19th century, and was badly damaged in 1917. A statue of the king Louis the Thirteenth, and a statue of king Louis the Fifteenth nearby in the Place Royale, were both destroyed at the time of the French Revolution, but were restored later. Tours are available in English, but need to be booked in advance. 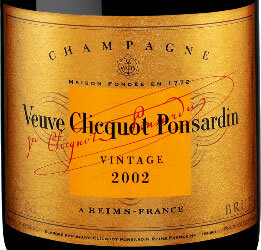 One of the most famous champagne producers is Veuve Clicquot Ponsardin (pronounced "verve-klee-koh-pon-sar-dan"). 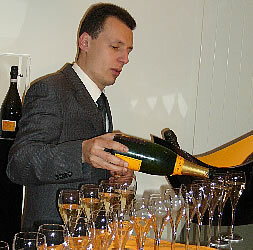 Philippe Clicquot founded the company in 1772. 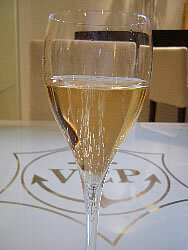 A lady whose surname was Ponsardin married Philippe's son and gave birth to a daughter, but he died soon afterwards (the meaning of the French word "veuve" is "widow"). 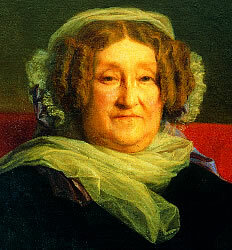 She put all of her energy into champagne production and marketing. 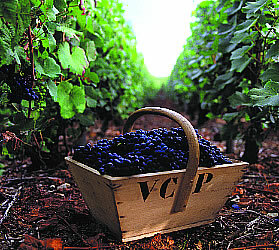 After winning some large orders she invested in the business by buying more land and planting new vineyards, and also played an important role in improving the production process. She died in 1866. The company has been owned by LVMH (the luxury brand company which also owns Louis Vuitton) in 1987. If you have booked a place on a tour you can hear an explanation about the company's history before being led by your guide into part of a network of 24km of underground caves. These were originally chalk pits dug by the Romans. 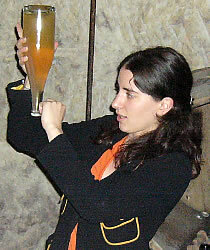 After returning above ground there is a chance to sample a glass of champagne and to visit the company's shop.The Veuve Clicquot cellars are located at 1 place des Droits de l'Homme in the south of Reims, near the Saint Remi abbey (a short bus or taxi ride from the train station or city centre). 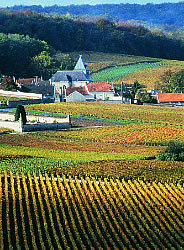 Many of the local vineyards are located near the town of Épernay, about 25km south of Reims. Here there are several other champagne houses which offer visits: De Castellane, Mercier, Moët et Chandon, Perrier- Jouët, and Pol Roger. 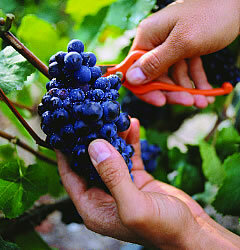 Thousands of grape pickers are employed each year at harvest time. 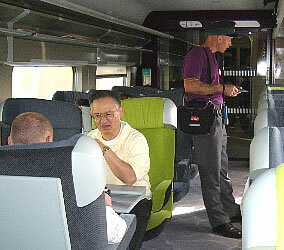 A frequent train service links Reims to Épernay. The Musée des Beaux Arts (Museum of Fine Arts) has one of the finest collections amongst the French provincial art museums. 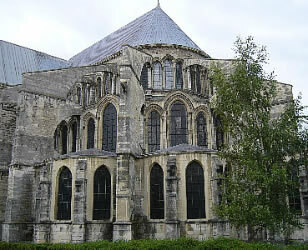 It is housed in a former abbey and was opened by the French President in 1913. 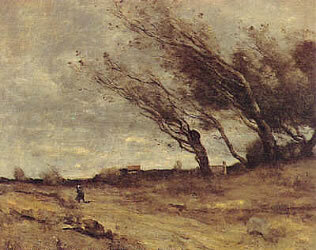 There are works in a wide range of art styles, including 27 paintings by Camille Corot (1796-1875). 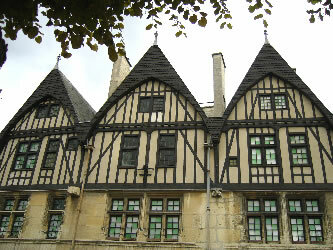 It is located at 8 rue Chanzy (a short walk from the cathedral). In World War One (1914-18) Reims was close to the front line (known as the Western Front) and suffered from heavy bombardments. It was briefly taken by German forces at the time of the Battle of the Marne but was recaptured by the French after 10 days of fighting. A few kilometres outside Reims (on the Châlons road) you can visit a military museum at the Fort de la Pompelle. This fort was a key part of the defences which helped to protect the city at this time. 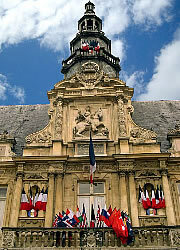 In the Second World War, Reims was occupied by German forces from June 1940. At the end of August 1944 a group of resistance fighters and railwaymen managed to prevent the Germans from destroying the key Pont de Laon bridge (near the station) and another strategically important bridge to the west - this allowed the American forces under General Patton to liberate the city quickly. 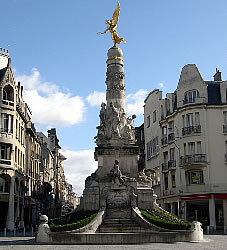 The city's Monument aux Morts (War Memorial) is located in Place de la République (close to the Porte de Mars). 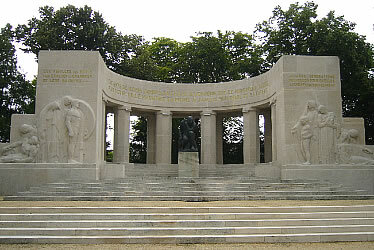 The main inscription reads: "Enfants de Reims tombés au champ d'honneur que ce monument, édifié par votre ville meurtrie, exprime à jamais son deuil et sa fierté". 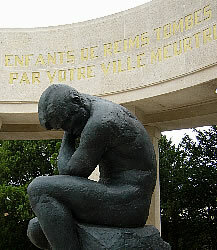 This can be translated as: "This monument, built by your ravaged town, expresses forever its grief and pride for the children of Reims who have fallen in the field of honour". 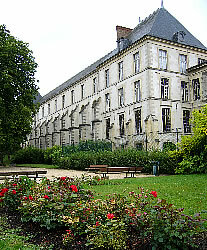 General Dwight Eisenhower (the supreme commander of the Allied Expeditionary Force in Europe) set up his headquarters in Reims in February 1945, inside a former technical college. 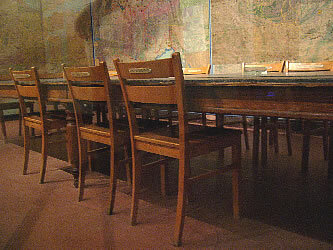 It was in the War Room here that representatives of the German armed forces signed surrender documents on 7 May 1945 (one week after Adolf Hitler had committed suicide in his bunker in Berlin). 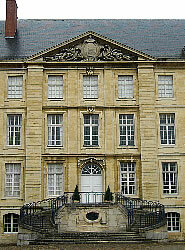 The building is now the Musée de la Reddition ("surrender museum"). The War Room has been left in its original condition - maps of Europe, used to follow the progress of the war, still cover the walls. As well as seeing this room, visitors can watch a short film (there is a version in English) and can look at various displays connected with the Second World War. The museum is located at 12 rue Franklin Roosevelt (about a 10 minute walk from the train station: turn left when you exit the station, cross the bridge over the railway lines, and turn left into rue Franklin Roosevelt). 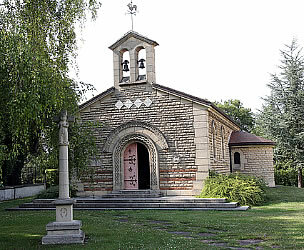 Chapelle Foujita (the Chapelle Notre-Dame-de-la-Paix) is a Romanesque chapel which was completed in 1966. 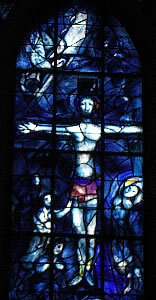 Christian frescoes were painted on its interior walls by the artist Léonard Foujita (1886-1968), who also planned and designed the chapel. Foujita was born in Japan but moved to France in 1913. He changed his name from Tsuguharu Fujita when he converted to Catholicism in 1959 (he was baptised in Reims Cathedral). 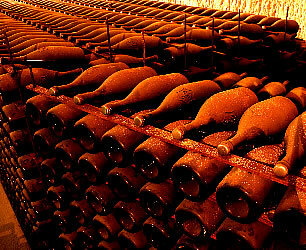 Most of the money used to build the chapel came from his godfather, who was chairman of the Mumm champagne company. The address is 33 rue du Champ de Mars (about 1km from the train station, in a north-easterly direction, close to the city's northern cemetery). A bottle of champagne is of course the most popular souvenir of a visit to Reims. 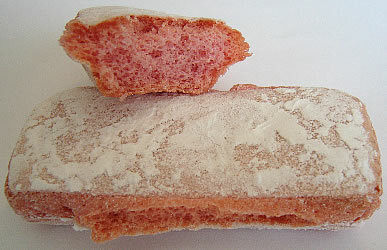 Biscuits were first created by bakers in this region (the word biscuit is French: it means "twice cooked"). The most famous local confectionery company is called Fossier. Its biscuits roses are crunchy, pink biscuits which can be eaten with tea, coffee, wine or champagne, or can be used to decorate cakes. 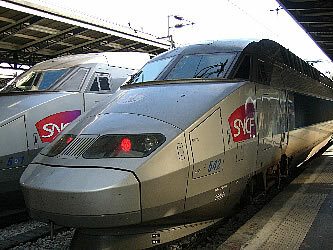 The quickest way to get to Reims from Paris is by rail: take the TGV Est from Paris Gare de l'Est. To book tickets, click here.